Kate Middleton is reportedly struggling with one thing that she had to learn since she joined the royal family. According to royal expert Victoria Murphy, the fact that Kate has learned and improved a lot throughout the years proves that she’s earning her position as the future queen. Murphy added that Prince William’s wife has already proven that she could be good at everything except when it comes to speaking in public. During all of their meetings, Murphy noticed how lovely and fun the Duchess of Cambridge is. The royal expert added that the future queen also has a lot of inner strength because she is quietly very strong. 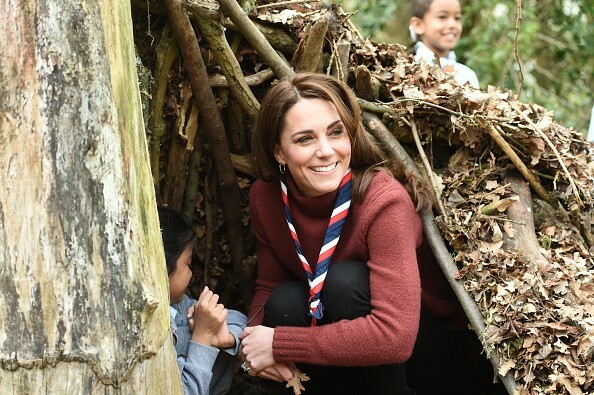 Even though Kate may not be regarded as an extrovert, she has been a real rock for Prince William. Kate dreaded speaking in public so much that there was one instance wherein she had to adlib a surprise contribution at the end of a mental health conference. Daily Mirror’s royal editor, Russell Myers, who also attended the Royal Foundation’s Mental Health in Education conference, said that he saw Kate scribbling her speech on a piece of paper for two to three hours. When she got up to give her speech, it was evident that she wasn’t prepared. Nick Ede, a public relations expert, said that people have grown up with Kate because the press has been following her even when she was still a student. At that time, she just started dating Prince William, and everyone wanted to get information regarding their relationship. Years later, the media continued to document Kate’s life, which includes all three of her pregnancies. “She was a student, girlfriend, and then the splits and all those things make her more human,” Ede said. “She’s a yummy-mummy, she looks fabulous,” he added.